MainAll NewsUS & CanadaMichigan: Anti-Semitic flyers posted on Detroit-area church. Michigan: Anti-Semitic flyers posted on Detroit-area church. Police say anti-Semitic flyers supporting the Daily Stormer don't constitute crime, are protected under First Amendment. Anti-Semitic flyers were posted outside of a church in a Detroit suburb. The flyers, which included caricatures of Jews with big hooked noses rubbing their hands together, were found Sunday morning taped outside all three entrances to the First United Methodist Church in Ferndale, Michigan, the Detroit Free Press reported. The flyers were posted in support of the far-right website Daily Stormer, one of the internet’s most prominent anti-Semitic outlets. “The Jews came for the Daily Stormer, and I said nothing … they are coming for YOUR free speech next,” the flyer reads. It then shows the dates and website domains of the Daily Stormer that have been cancelled by hosts in the last year. It also contains an image of conspiracy theorist Alex Jones, founder of the InfoWars website, with a Star of David placed over his mouth. Infowars' podcasts and channels recently were removed from Facebook, YouTube and Apple’s media platform. Jones is being sued by families of victims of the 2012 Sandy Hook Elementary School massacre, including at least one Jewish family, for saying that the attack was staged by actors and that there is no proof that the children are dead. The flyers were reported to the local police. Ferndale Police Lt. Dennis Emmi told the newspaper that the flyers do not constitute a crime and receive protection under the First Amendment right to Free Speech. 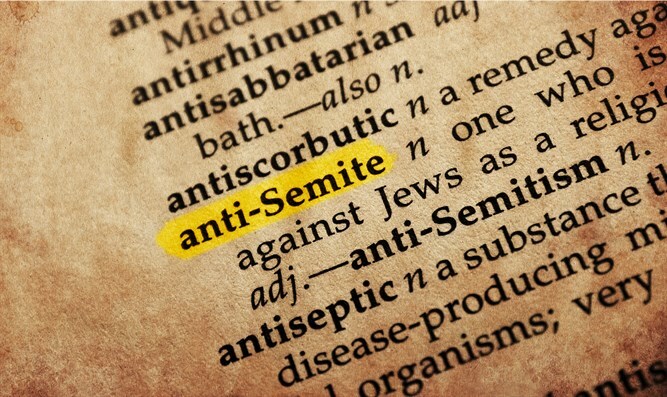 “Anti-Semitism has no place in our community,” Jill Warren, whose husband is the church’s minister, told the newspaper.